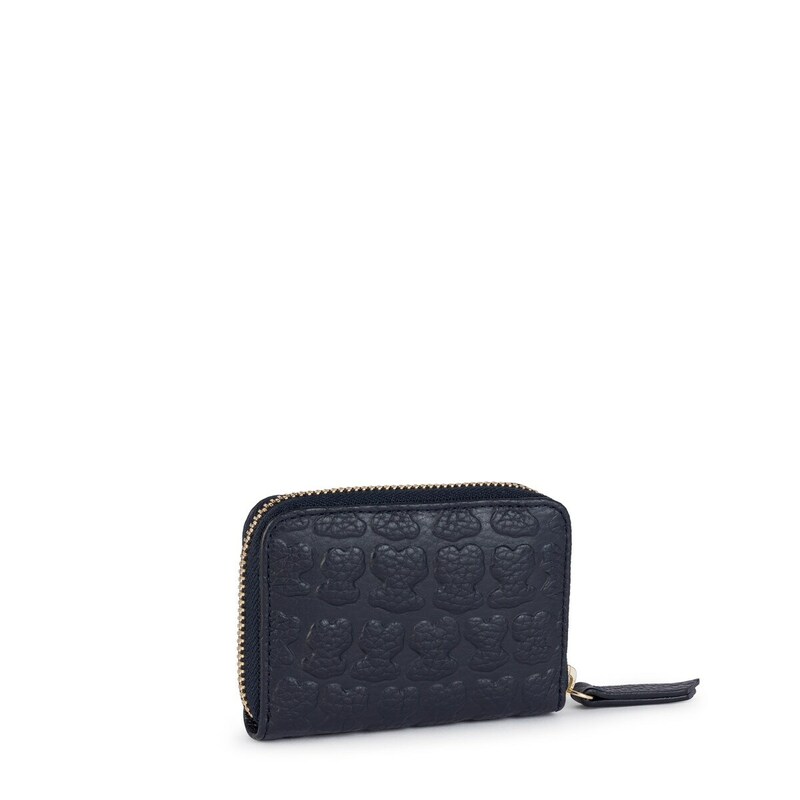 Medium TOUS Sherton change purse in navy blue leather with bear embossing in crocodile effect. Zipper closure. 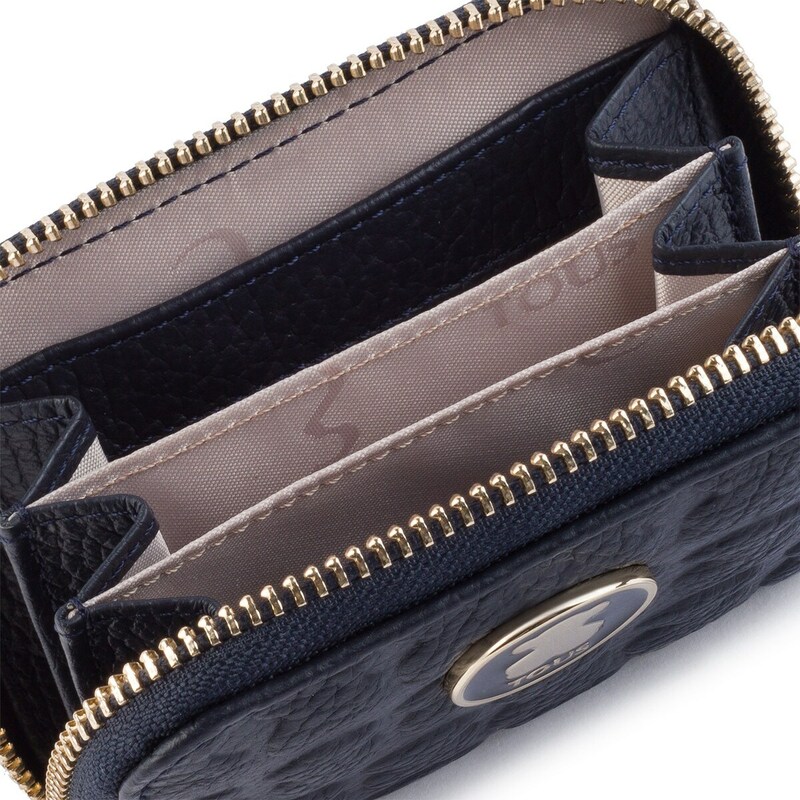 Interior: 2 compartments for cards and 3 for various items. Measurements: 8x10x2.5 cm.